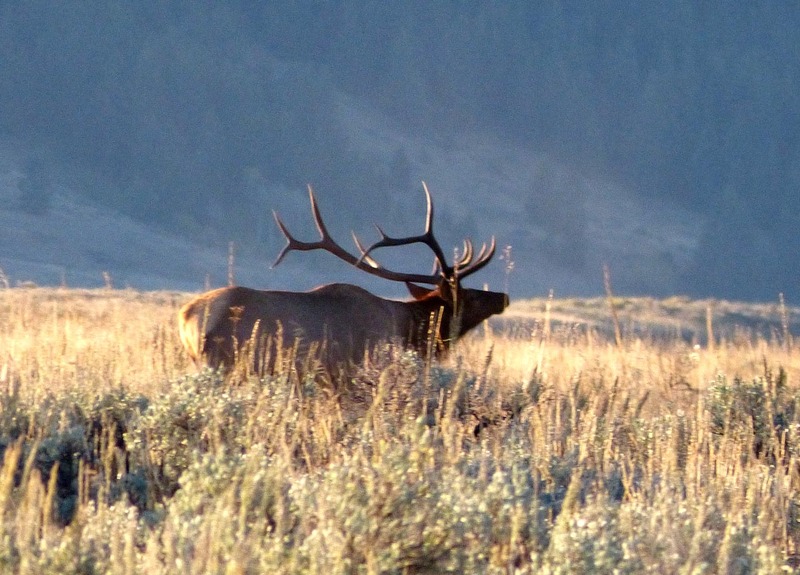 Regardless of where we were (Glacier, Tetons, Big Sky), there was one common thread — the presence (and preservation) of wildlife. 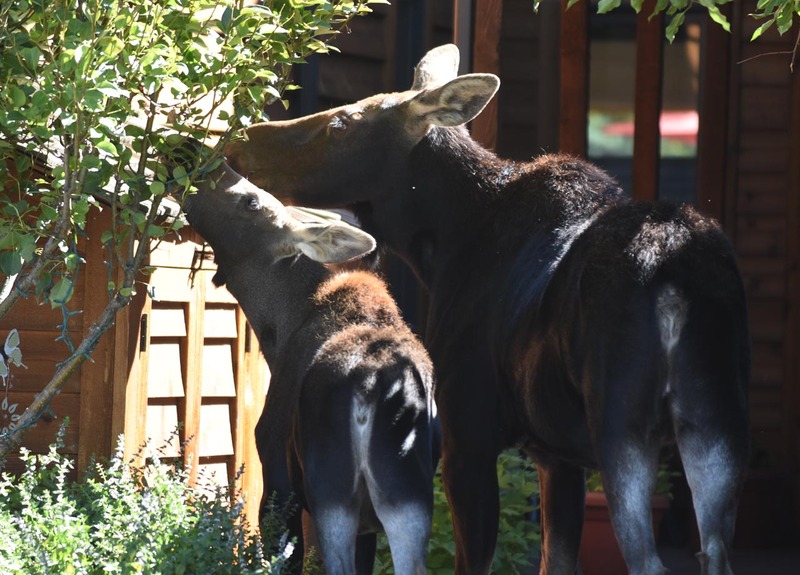 You couldn’t go anywhere without seeing signs warning of the presence of wildlife — on the roads, trails, picnic areas, etc. 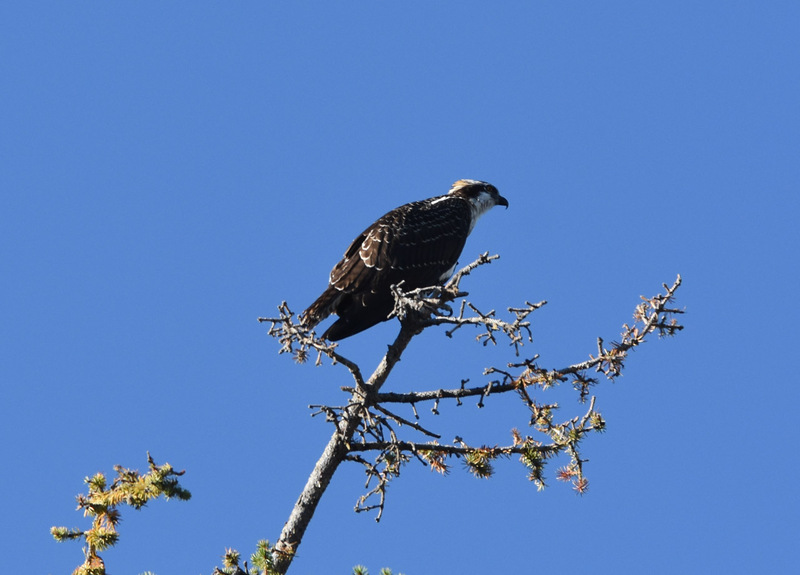 We traveled with 2 other couples on this trip, and all of us have contributed our wildlife pictures to this post. We hope you enjoy! 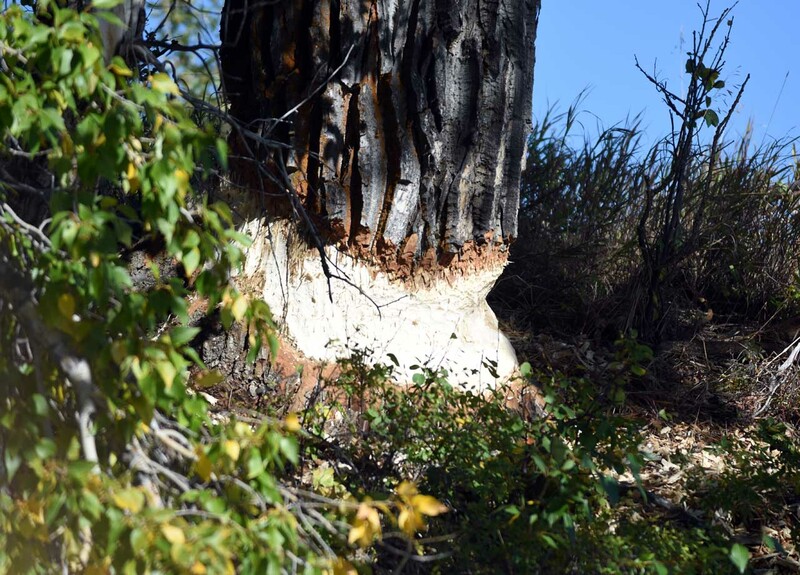 There is no doubt that this neck of the woods is bear country. There are signs EVERYWHERE indicating such. 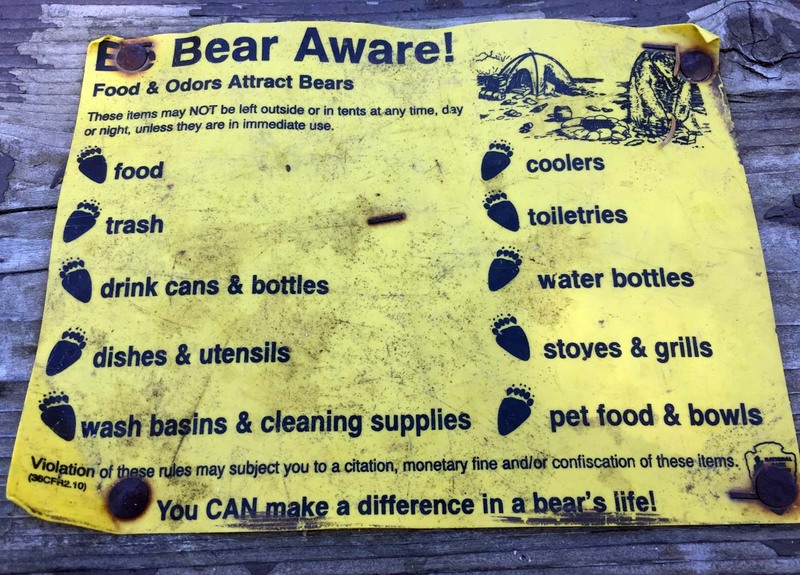 And you can’t picnic without seeing some version of the below sign…The slogan “Be bear aware” is plastered throughout this region. 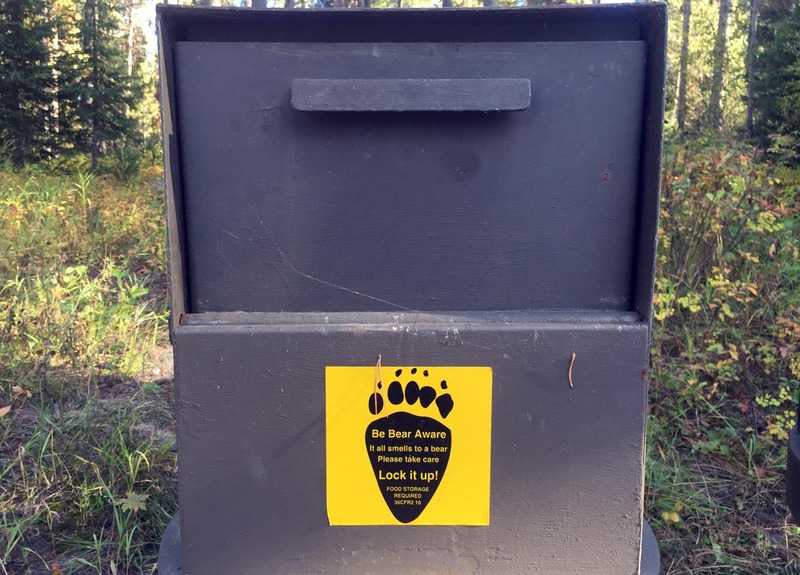 As in the below sign from the Grand Tetons, about 14 bears have to be put down each year in the Greater Yellowstone area due to inappropriate activity with humans. 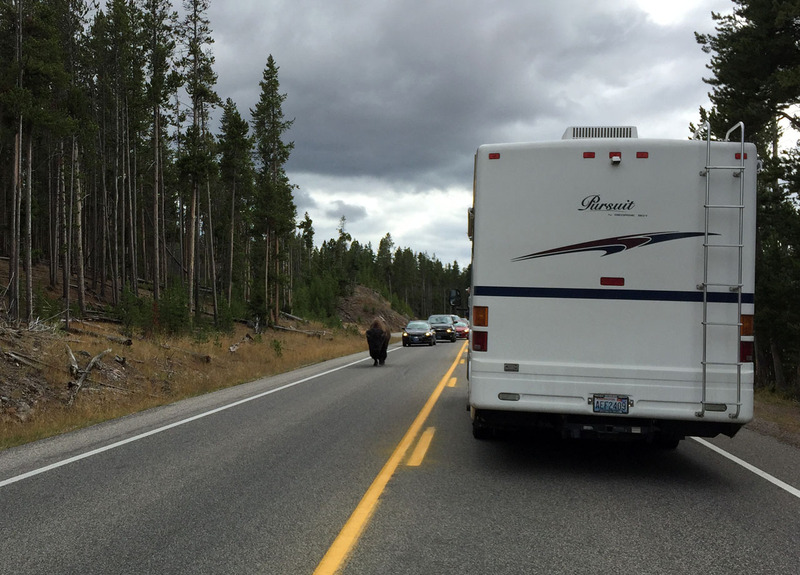 Once a bear associates humans with food (from backpacks, picnics, cars, or otherwise), the bear could become aggressive and a public menace. 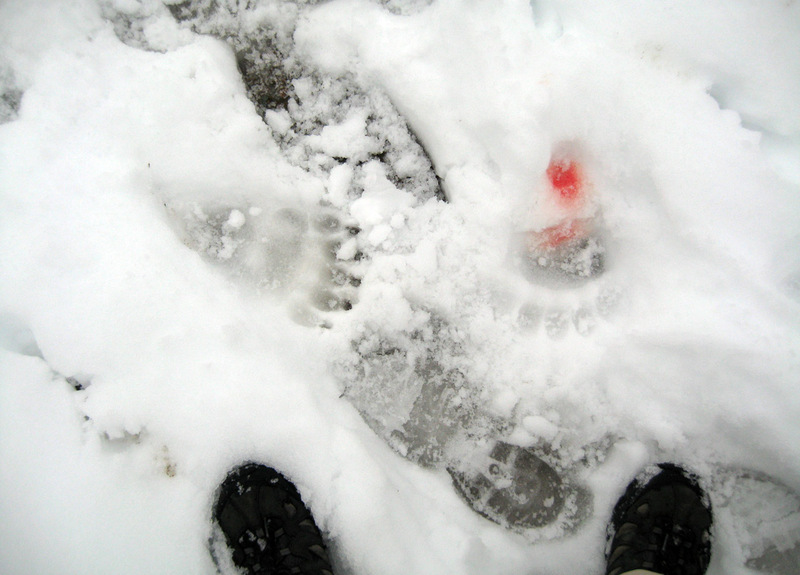 If you should run into a bear, there are signs for that too! 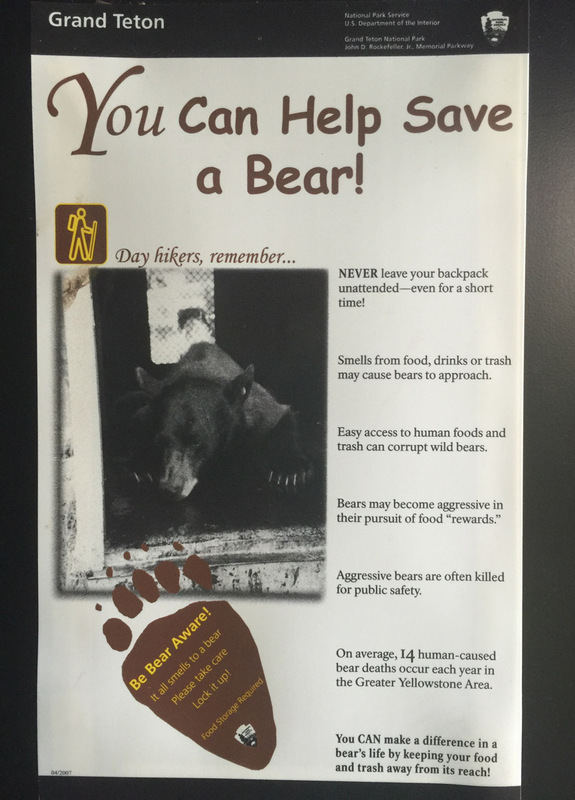 The below sign lists what you should do to prevent bear attacks, and how to avoid them if possible. 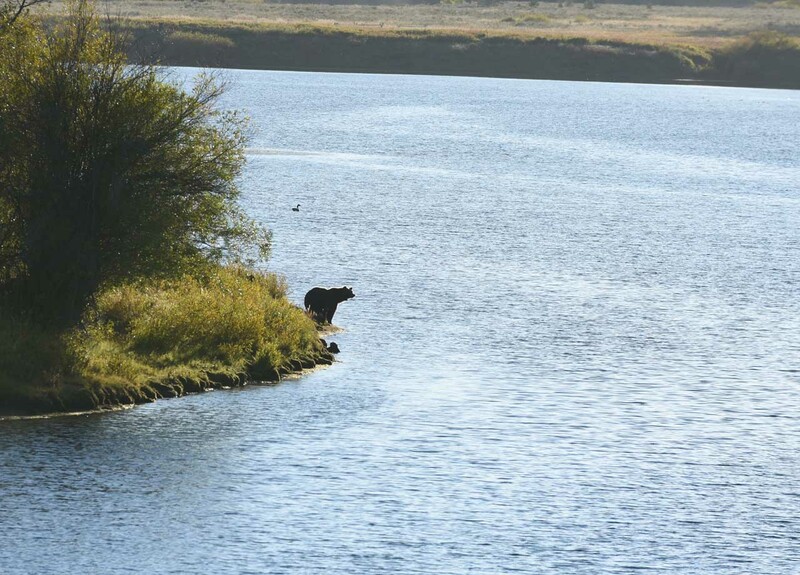 Bears really don’t want much to do with us, but on some of these trails it’s easy to just happen upon them. A mother with her cub is typically the most dangerous type (same with humans, really!). 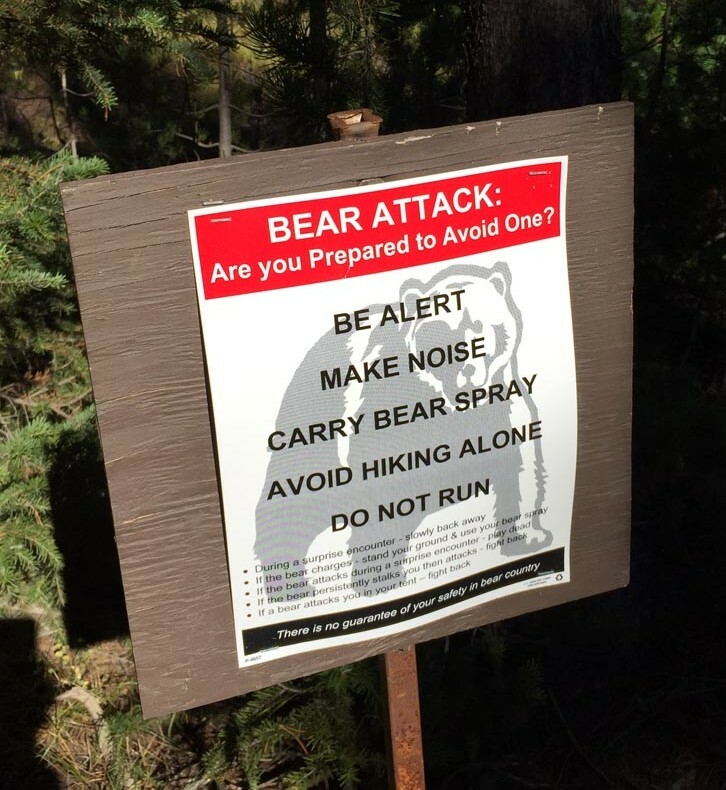 In the event that we meet a bear on a trail, it’s crucial to have bear spray. 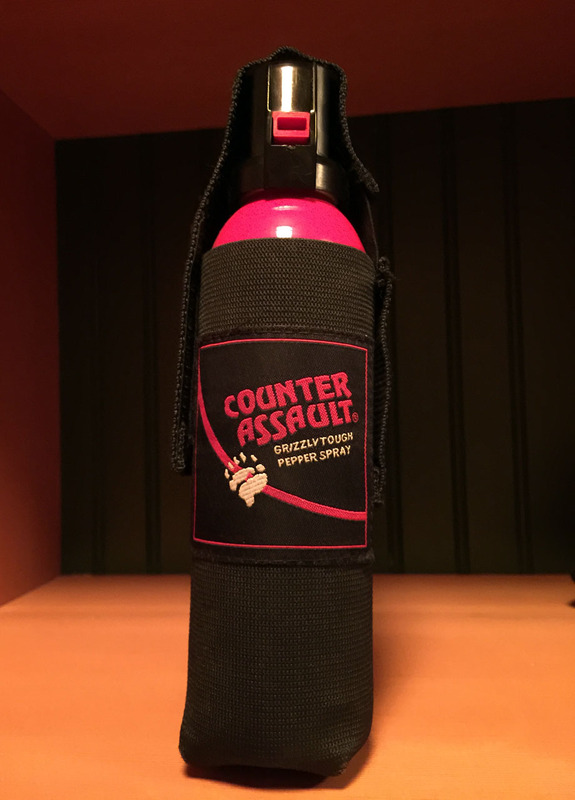 This is essentially the pepper spray equivalent for bears…Jeff and I bought some in Glacier and carried it everywhere for the full 2 weeks. Happily, it was not needed! 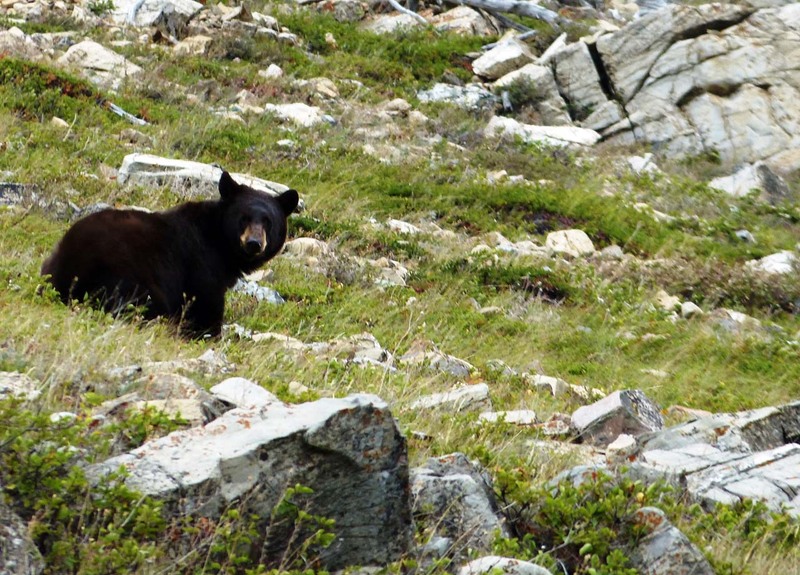 Besides their coloring, black bears can also be differentiated from grizzly bears by the flat profile of their face, lack of a hump in their shoulders, and different paw/claw marks. 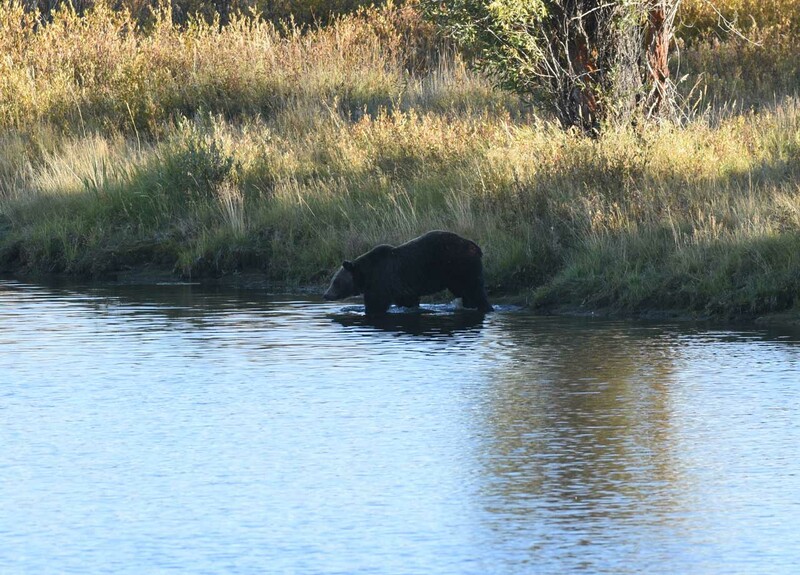 As with last year, we saw grizzly bears in the Grand Tetons — this time at Oxbow bend. 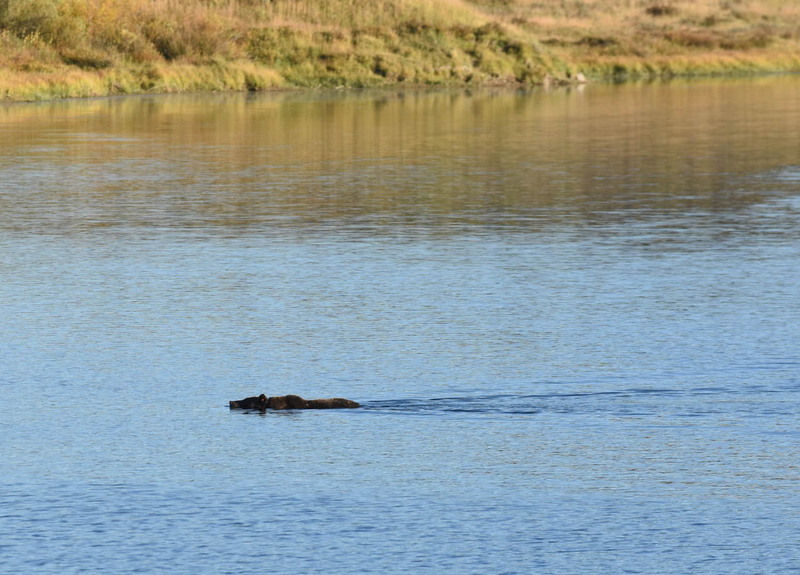 Remember from the last post that we spotted wildlife 1 of 3 nights at Oxbow Bend? That first night we saw 2 different grizzlies. Crazy! 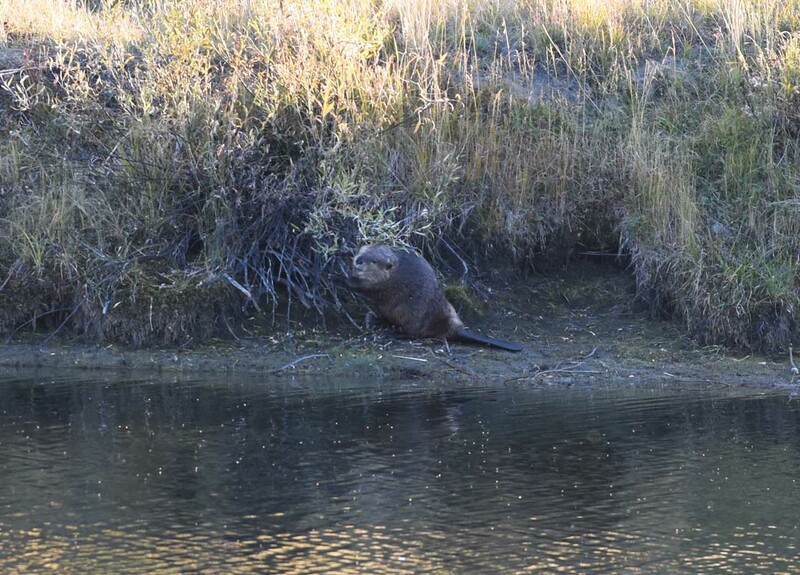 The first was walking along the river and then posed at the corner…See the small hump in the shoulders? 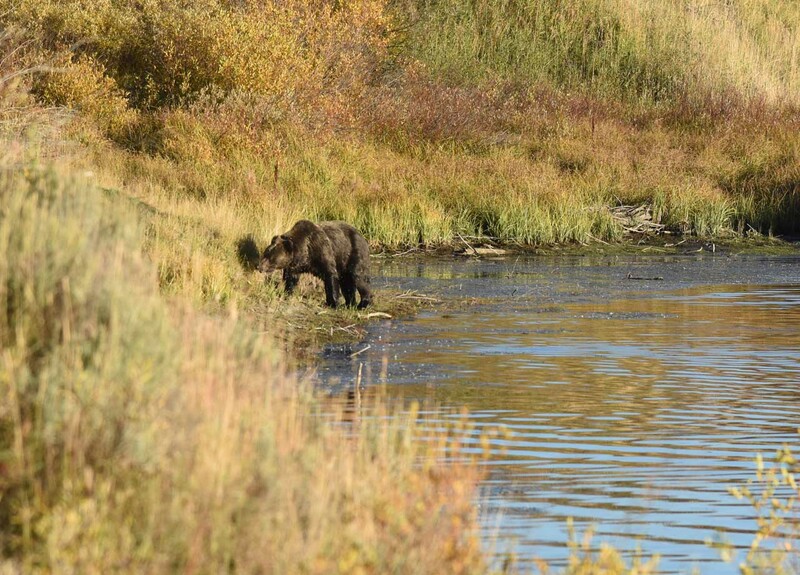 Then, not 5 minutes later, a different grizzly appeared out of the grass in the opposite direction. 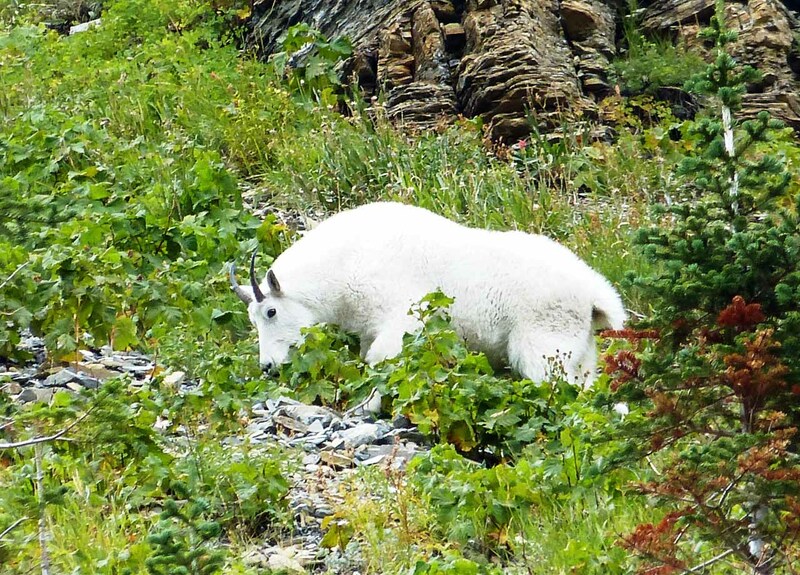 Happily, Jeff was perfectly positioned to photograph him. 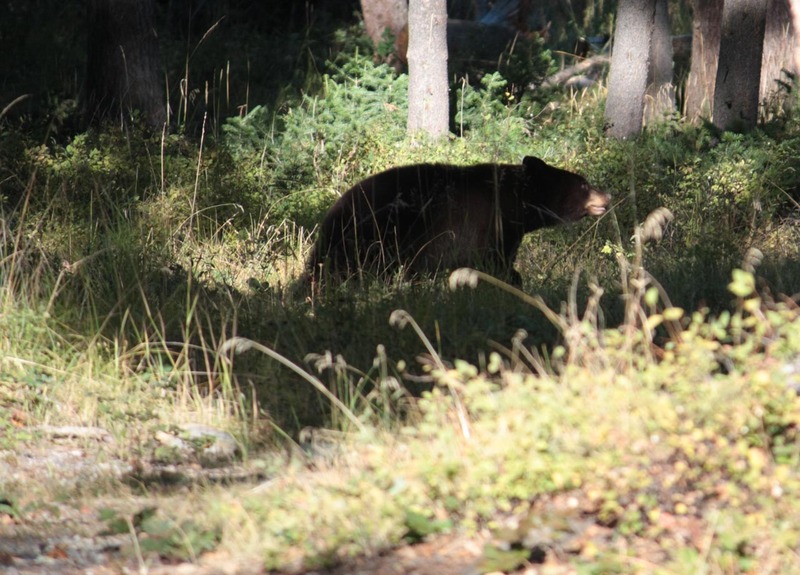 …before getting out on our side and promptly walking up the hill and causing a bear jam in the road (when cars stop and gawk and people get way too close to the bear so they can take a picture). 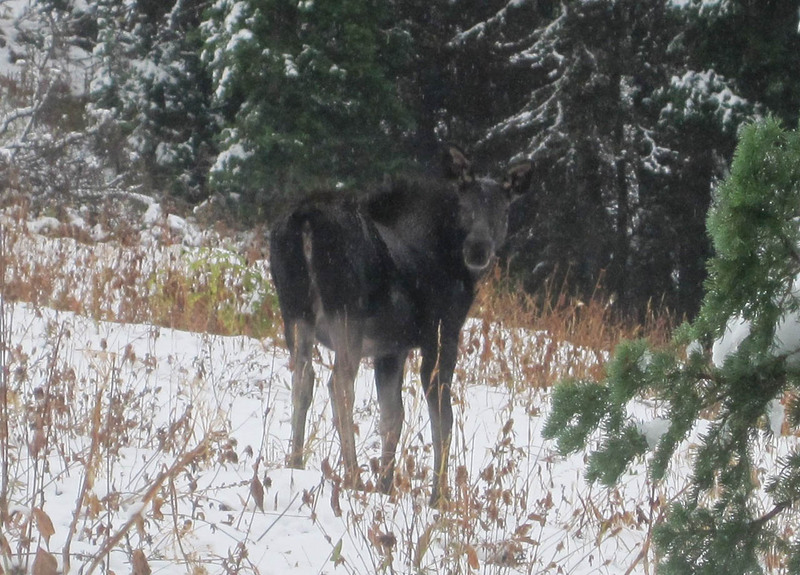 After bears, moose were what I wanted to see most. 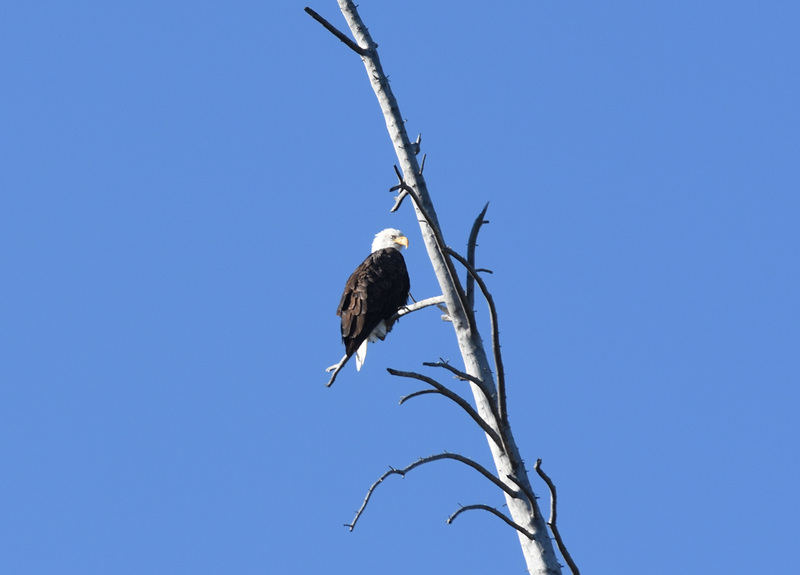 I never saw one last year in Montana or on our trip to Maine, so I was bound and determined to see one on this trip. Please, oh, please! 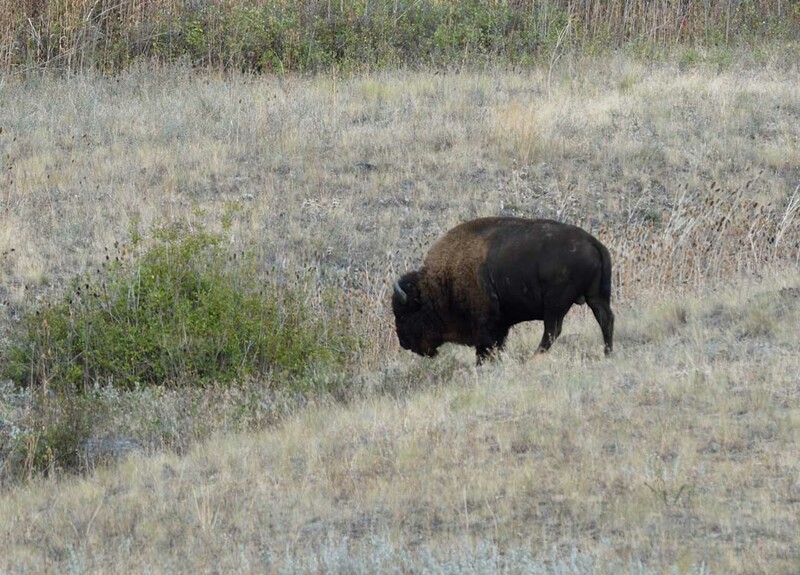 And here is one on his own…Like bears, these guys are huge and lumbering, but man, they can move when they want to! 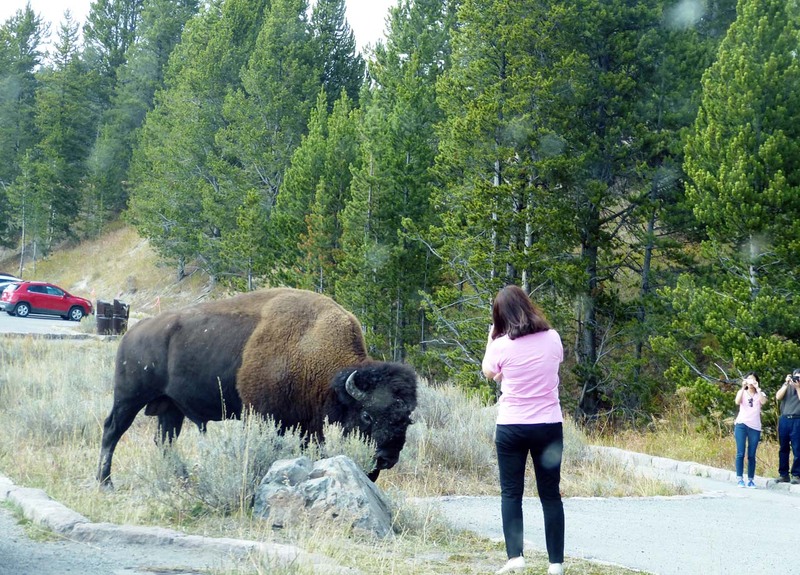 When people stop and take pictures of bison in Yellowstone, you know they haven’t been there long. By day 2, most people are driving right by them. 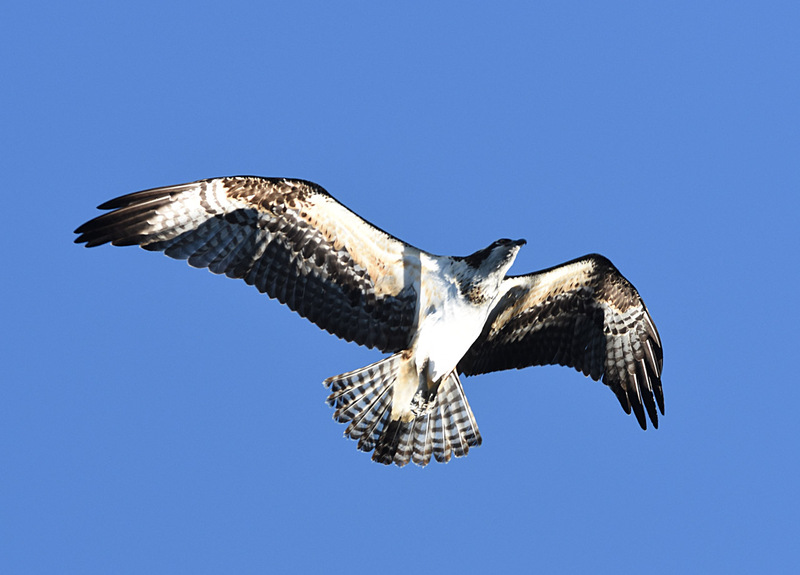 …but this time we also got a good look at osprey (who remained elusive last year). 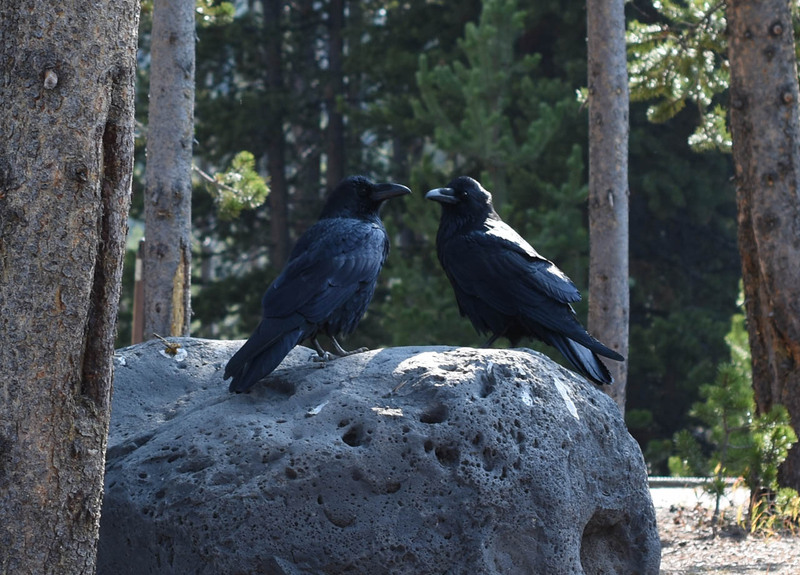 Once in Yellowstone, we saw these 2 ravens at one of the stops. 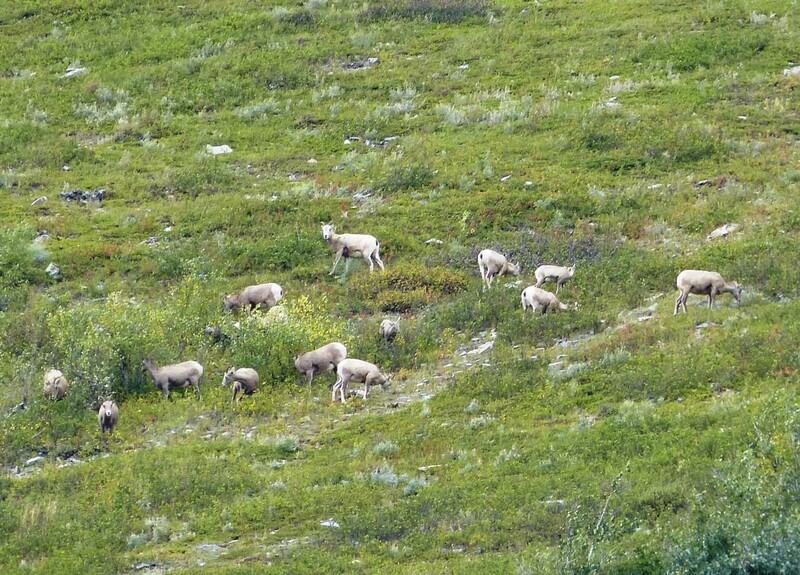 I wonder what they were conspiring about? 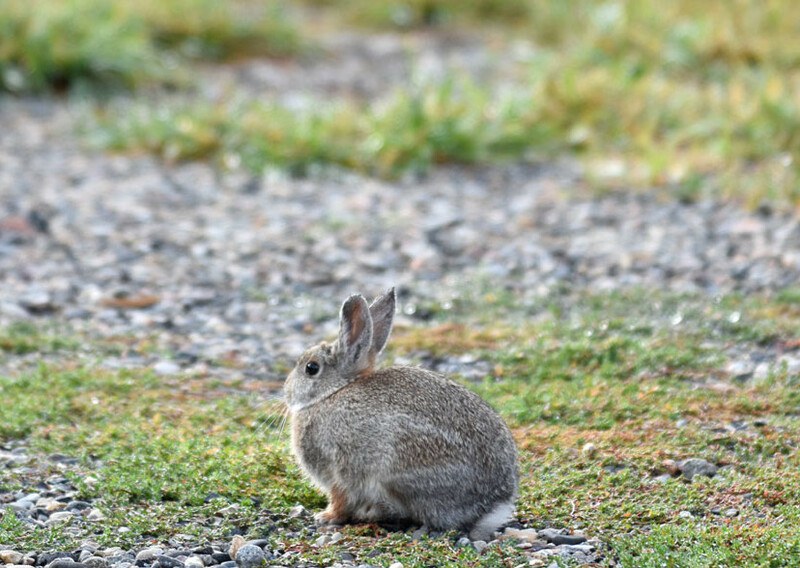 We saw all kinds of other “critters” around the parks. Chipmunks (below) abounded in the parks (along with red squirrels, that were too quick to photograph!). 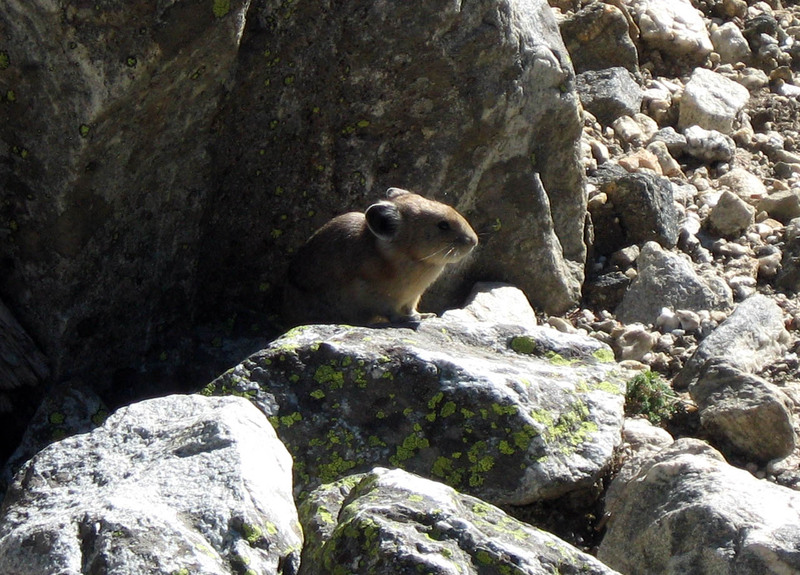 Jeff captured a photo of this chipmunk as he was trying to steal some food from a nearby hikers bag at Inspiration Point in the Grand Tetons. Cheeky buggers! 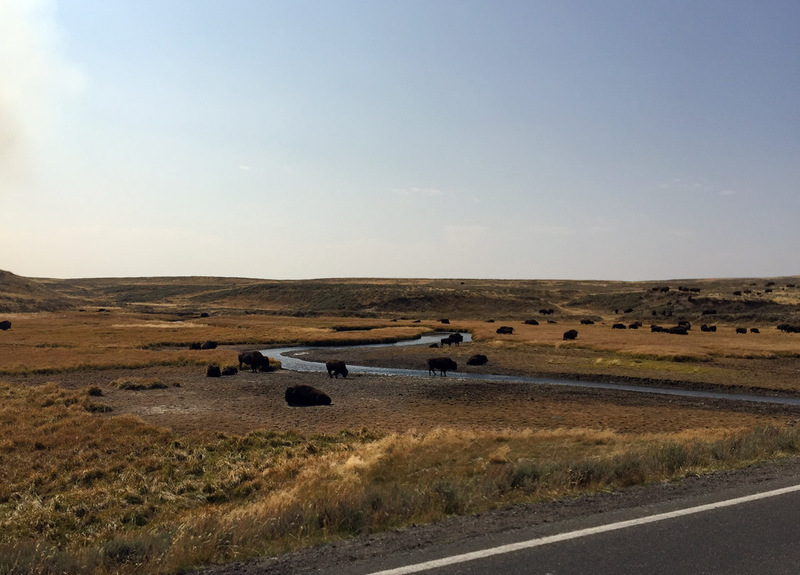 Despite spending 2 weeks searching for wildlife, there are still things we didn’t see — bull moose (sigh), bighorn sheep, and lynx, to name a few. Jay and Lori braved the early (early!) 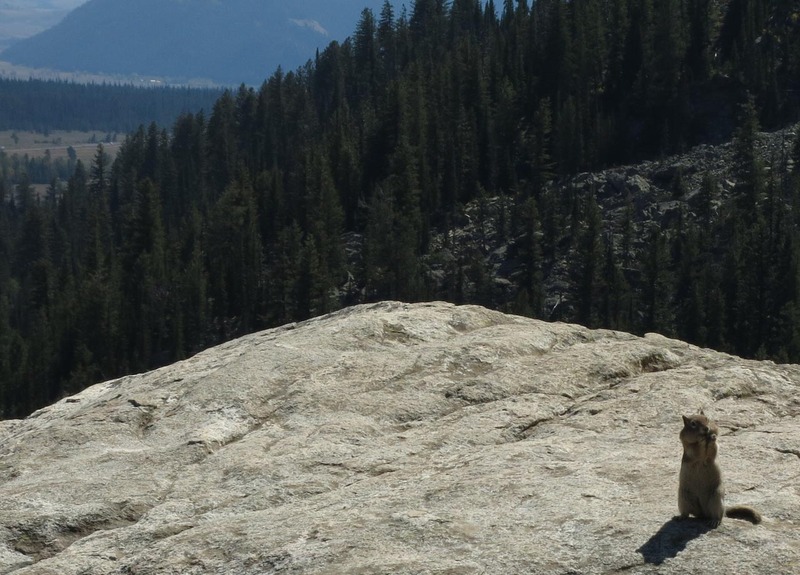 mornings to watch wolves in Yellowstone and were able to see a pack of wolves run off a grizzly. Very cool stuff! 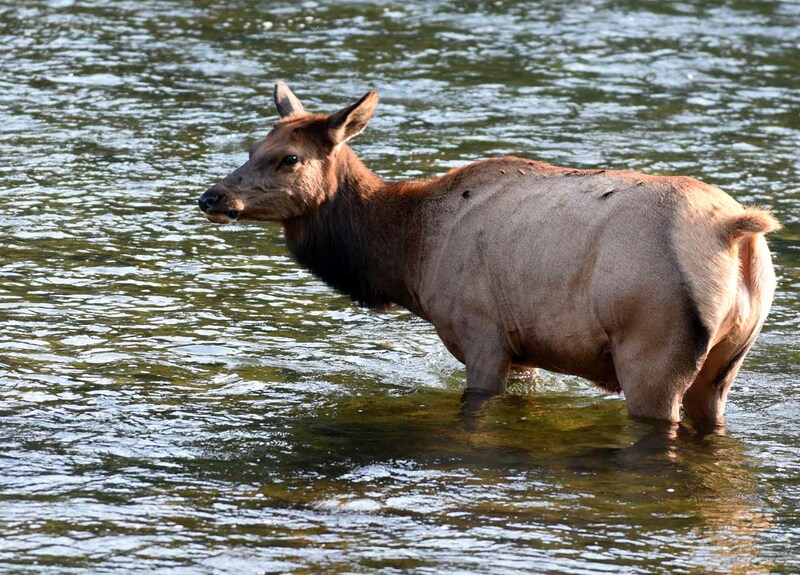 We hope you’ve enjoyed this wee introduction to the wildlife out west. 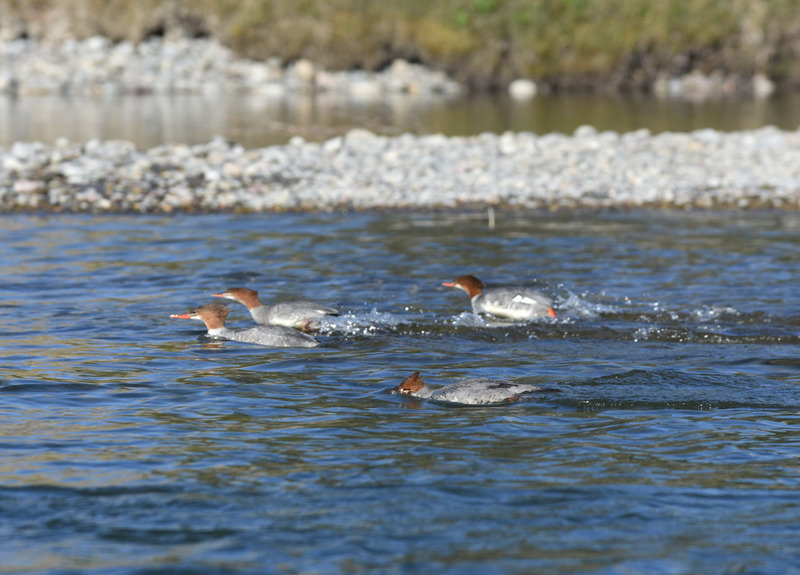 As with everything, it’s always best if you come out and see them yourself! Cheers, Lori, Jay, Barb, Mike, Jen, and Jeff.